"The Portrait of Lady Anne" is a nice short fantasy film produced by Thanhouser. Florence La Badie plays the role of a beautiful, but very capricious young woman in two different time periods. In 1770 Florence La Badie as Lady Anne has her portrait made, and she shows it with excitement to her father. Then a soldier, to whom she is betrothed, comes visiting. They have a good time until she gets into a jealous fit, throws the engagement ring and walks away. He goes to war and dies, but not before writing her a letter with the words "You will regret this all your life". This is exactly what happens, as Florence La Badie is filled with remorse ever after. Forward to 1912. Florence La Badie is a young woman, a descendant of Lady Anne. She entertains her suitor and guests at her house, with the portrait of Lady Anne hanging on the wall. The same thing occurs all over again: she becomes jealous and breaks up with her man. But the spirit of Lady Anne is troubled and she wants to make sure that her descendant marries the man she loves, avoiding her own stupid mistake. The ghost of Lady Anne steps out of the portrait and patches things up with the man. Florence La Badie sees the empty frame on the wall and realizes that her ancestress is trying to help her. She returns to her man. The film is notable for its very rich costumes and beautiful sets. Florence La Badie was the leading actress of Thanhouser from 1911 until her untimely death in 1917 at the age of 29. Florence La Badie shows her portrait to her father in "The Portrait of Lady Anne" (1912). Florence La Badie and her father meet her fiance in "The Portrait of Lady Anne" (1912). Florence La Badie is kissed by her fiance in "The Portrait of Lady Anne" (1912). Florence La Badie and her fiance share a moment in "The Portrait of Lady Anne" (1912). Florence La Badie and her fiance enjoy a nice walk in "The Portrait of Lady Anne" (1912). Florence La Badie is in the grips of a jealous fit in "The Portrait of Lady Anne" (1912). Florence La Badie breaks up with her fiance in "The Portrait of Lady Anne" (1912). Florence La Badie listens to another suitor in "The Portrait of Lady Anne" (1912). Florence La Badie decides to marry another man in "The Portrait of Lady Anne" (1912). Florence La Badie in modern times chats with her boyfriend in "The Portrait of Lady Anne" (1912). 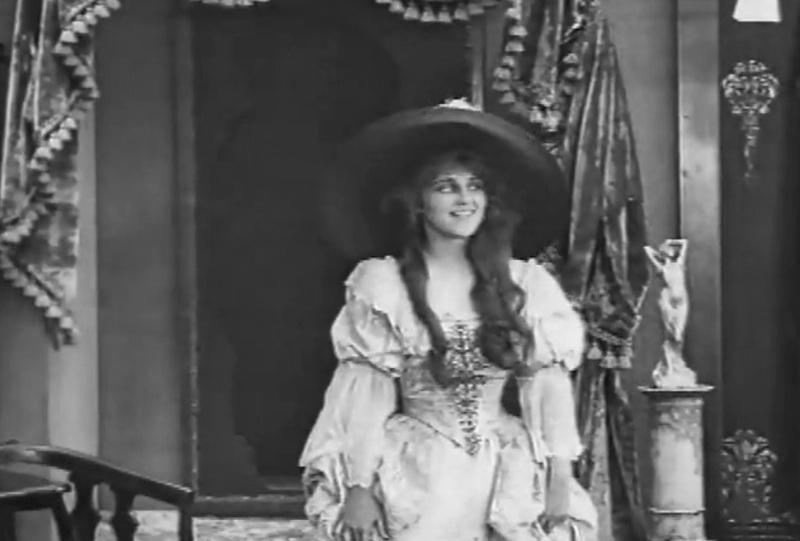 Florence La Badie becomes jealous in "The Portrait of Lady Anne" (1912). Florence La Badie confronts her man in a jealous fit as Lady Ann watches from the portrait in "The Portrait of Lady Anne" (1912). 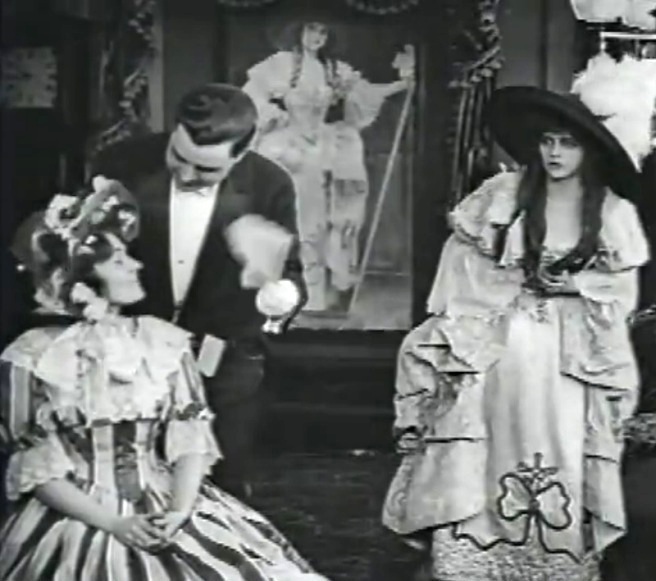 The ghost of Lady Anne steps out of the picture in "The Portrait of Lady Anne" (1912). The ghost of Lady Anne is troubled in "The Portrait of Lady Anne" (1912). The ghost of Lady Anne approaches the boyfriend of her descendant in "The Portrait of Lady Anne" (1912). Florence La Badie watches her boyfriend dance with another woman in "The Portrait of Lady Anne" (1912). The ghost of Lady Anne dances with the boyfriend of her descendant in "The Portrait of Lady Anne" (1912). Florence La Badie realizes that the ghost of Lady Anne came to help her in "The Portrait of Lady Anne" (1912). The ghost of Lady Anne chats with the boyfriend of her descendant in "The Portrait of Lady Anne" (1912). The ghost of Lady Anne bids good bye to the boyfriend of her descendant in "The Portrait of Lady Anne" (1912). 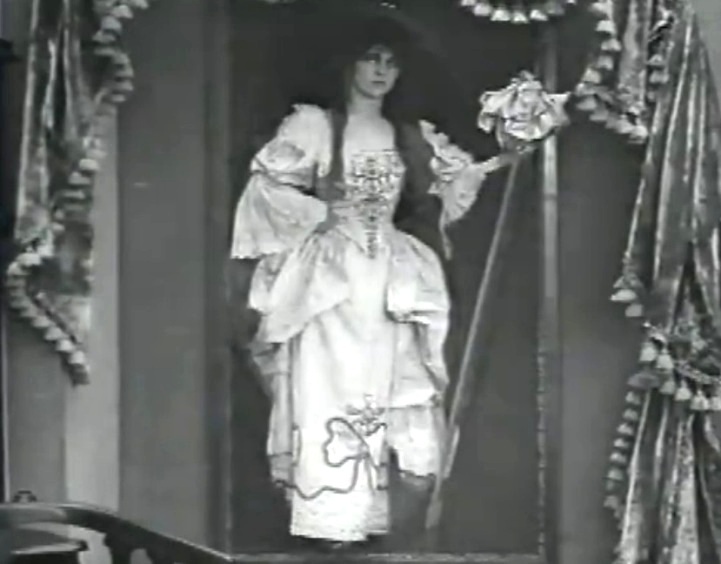 The ghost of Lady Anne leaves in "The Portrait of Lady Anne" (1912). The ghost of Lady Anne is happy that she helped her descendant in "The Portrait of Lady Anne" (1912). Florence La Badie reaches out to her boyfriend in "The Portrait of Lady Anne" (1912).